The physical Dutch post office building is a thing of the past. There are no official post offices to be found in any Dutch city since October 2011, when the last post office closed in Utrecht, a major city south of Amsterdam. But that does not mean that there are no postal services. 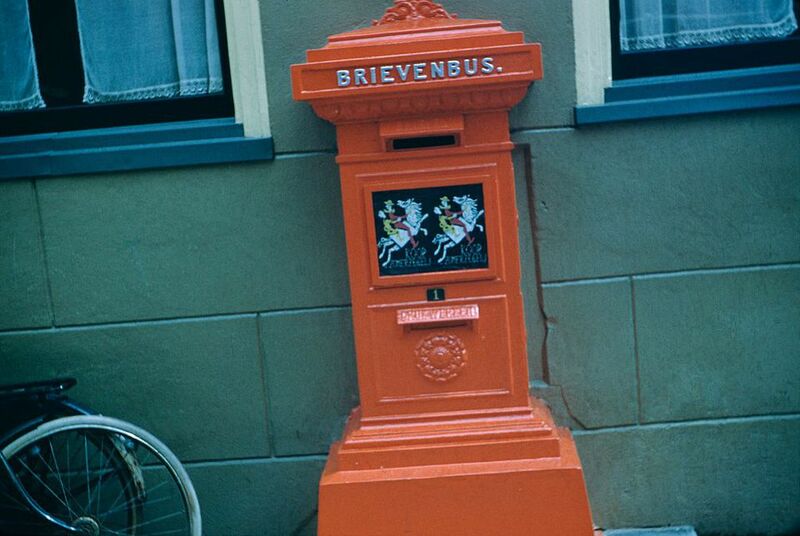 From 2008 to 2011, the traditional post offices were replaced with PostNL service points where customers can purchase stamps, send letters and parcels, and other typical postal services. These service points operate like a regular post office but are located in newsstands, tobacco shops, supermarkets and other stores. The Dutch mail service is administered by PostNL, formerly known as TNT (Thomas Nationwide Transport), which is headquartered in The Hague, Netherlands. A great advantage to doing away with the physical post office model is that before there had only been 250 post offices throughout the country, but now there are 2,800 service points. Shops that offer postal services are clearly marked with the PostNL symbol, and mailboxes are located throughout the country. Each day, PostNL delivers more than 1.1 million items to 200 countries. In addition to their global delivery services, they operate the largest mail and parcel distribution network in the Benelux (Belgium, Netherlands, Luxembourg) region. Ninety-seven percent of all mail items to Western Europe are delivered within three days. Postage is calculated based on item weight and is calculated in euros per ounce. To avoid unnecessary delays, mail with insufficient postage will always be delivered domestically and abroad. The postal service will charge an additional service fee to the sender. If the sender is unknown, the costs will be recovered from the addressee. At any time, the addressee can refuse mail with insufficient postage. You can use stamps to send your parcels quickly and easily. With standard stamps, you get two delivery attempts, online tracking, delivery to a neighbor (if the addressee is not home), and the addressee can collect the parcel at a nearby service point for up to three weeks. Some items, like magnets and cigarettes, are not allowed to be delivered by post. Those items include explosives (ammunition, fireworks), compressed gas (lighters, deodorant canisters), flammable liquids (gasoline), flammable solids (matches), oxidizing agents (bleach, adhesives), toxic or infectious substances (pesticides, viruses), radioactive materials (radioactive medical supplies), corrosive materials (mercury, battery acid), or other dangerous substances (narcotics). In 1799, the mail service was nationalized. In practice, postal traffic was concentrated in Holland, as the connections with the rest of the Netherlands and the country were still quite limited. In the countryside, mail was mainly delivered through private channels. In 1993, mail offices were privatized. Until 2002, the post office was known as PTT Post. The name changed to TNT until 2011 when it changed to PostNL. The concept of service points was not unusual for Dutch residents. The first sub-post office was founded in 1926. A sub-post office operated much like a service point. It was an independent shop where a range of postal services was provided at a special desk.